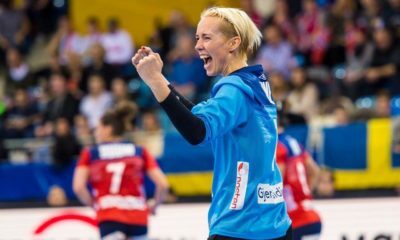 In the last four years, this is the fourth time when Norway meet the Netherlands in a big tournament, in 2015 at the IHF World Championship they met in the final, one year later in the bronze match of the Olympic games in Rio and the last time the final of EURO 2016 was played also of these two teams. The Netherlands has changed their head coach since, in the first two matches above, they had Hank Groener as head coach, HelleThomsenn had taken over the lead of the Dutch team after the Olympics. Norway is on a wave in the last years. The Norwegian way to play a tournament is built up consequently, focusing only on the upcoming opponent and keeping the players on a very good level both physically and mentally. The most important thing is the defense and the good goalkeeper performance, then to be able to run. Today for Norway the start line-up is Lunde, Mørk, Herrem, Oftedal, Kristiansen, Skogrand, Brattset. 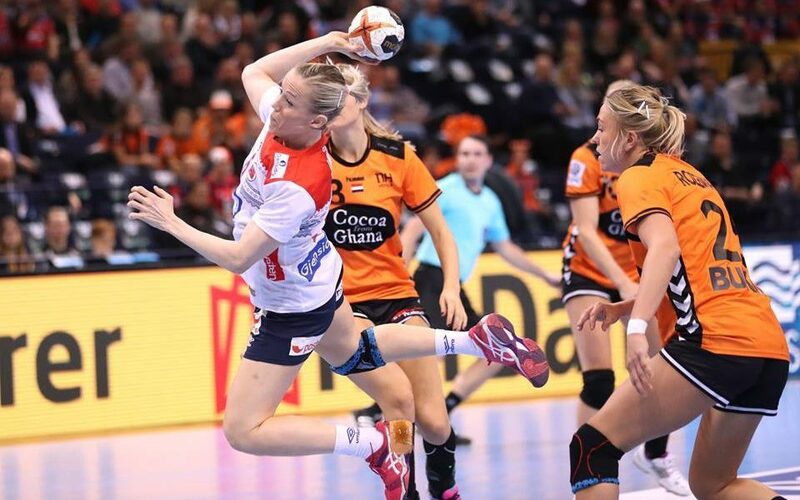 Norway opened the game with like a speedy storm, devastating the Dutch team by their solid defense, Katrine Lunde in the goal was outstanding again and Norwegian fastbreaks went after every save, so after 9 minutes the result was 1-5. 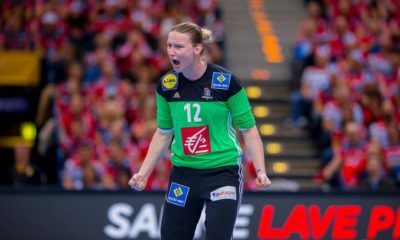 This was the time for Helle Thomsen to call her time-out, to stop the Norwegian flow and to give to her team some advice. This seemed to not help much as Norway scored first right after, leading 1-8- The second time-out called for the Dutch team was a more inspired one as they managed to get better in the attack. 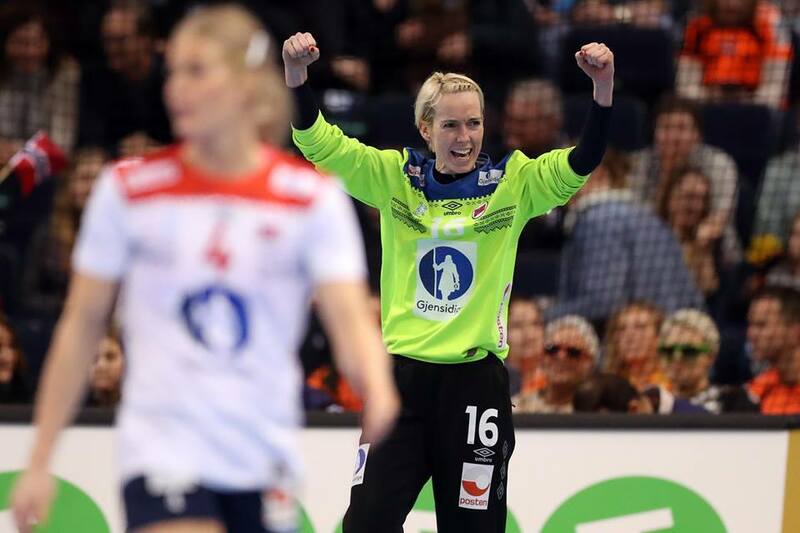 Heidi Løke entered the court too, scoring the goals with number 11. The Netherlands got some better minutes and managed to score several times, Laura van der Heijden was one of the players who were successful in putting the ball back Katrine Lunde, 6-13, 7-15. 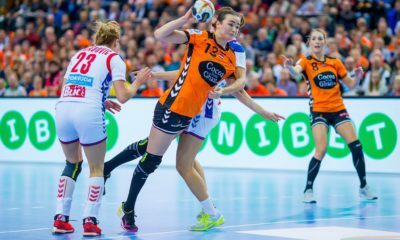 The Netherlands seemed to shake off the emotions of the start but still, Norway won the first half of the semifinal 10 – 17. The second half was started by Grimsbø in the Norwegian team and with Dutch scoring by Yvette Broch.Norway continued the fluent attacking play, Mørk, Oftedal or Løke were scoring and even if the Netherlands managed to pull themselves together after the disappointing first half, but Norway did not get worse and Grimsbø continued the savings where Lunde stopped. After 16 minutes played in the second half, Norway had increased their advantage from seven goals in the first half to nine goals, 18-25. The Dutch head-coach called her third time-out and made some replacements, Knippenborg and Smeets got into the court. Jasmina Jankovic has replaced Tess Wester in the goal, the Dutch staff has understood that the match is over for them and is better to rest the key players for the upcoming bronze game in two days. Norway increased the lead to ten goals, 20-30 with seven minutes left of the semifinal game. There was nothing more to do for the opponent, Norway is unstoppable at this World Championship.